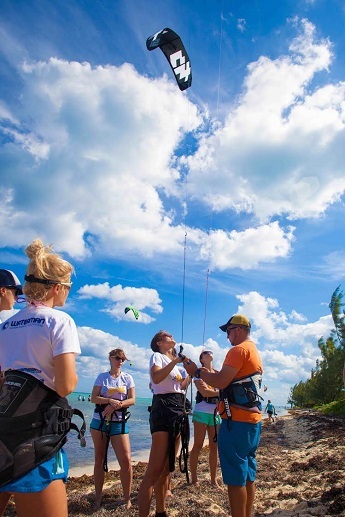 The day started out a Barkers National Park with a warm up Yoga session before splitting the event’s participants between the two resident kite schools, Kitesurf Cayman and Hurricane kiteboarding. Beginners were introduced to the art of kite flying using trainer kites on the sand before advancing to full size inflatable kites in the waters shallows. In the afternoon the women were paddle boarding and wakesurfing. (CUC-PFL): The 2nd round of the 2014/15 CUC Primary Football League (PFL) Playoffs ended Saturday, with a number of very exciting games and a few surprises in the U9 and U11 Consolation and Champions Cups. The inaugural CUC Girls’ Primary Football League (GPFL) also came to a conclusion with the final between Sir John A Cumber and St Ignatius Prep. In the U9 Consolation Cup, Truth For Youth defeated Bodden Town 6-0 and Triple C held off George Town 3-2. In the PFL U9 Champions Cup, Cayman Prep kept their undefeated record with a 4-1 victory over Cayman International School; St Ignatius drew 1-1 with Prospect, Savannah defeated Red Bay 3-1 and Sir John A Cumber secured their 2nd win in a row with a 2-0 victory in the playoffs over the NorthEast schools. (CNS): A man who was originally sentenced to seven years in jail over a number of charges relating to a $300,000 bread roll con but who was bailed following a successful appeal will not go back to prison, despite being convicted for a second time after pleading guilty. Acting Grand Court Judge Justice Malcolm Swift explained that because of the special circumstances in the case, despite the seriousness of the offence and lack of mitigation, he would not send 49-year-old Dave Bryan back to jail considering the double jeopardy principle and because he had already served almost three years. Some of the sentences imposed on Bryan after trial in 2012 were consecutive as they were separate, albeit related, offences and one was committed while on bail. The judge said that his decision to run the sentences concurrently following the defendant's guilty plea was not a green light for other offenders to think they can commit more offences on bail and receive concurrent sentences. The decision related specifically to this case and the special circumstances of Bryan being released after almost three years in jail, he said. Bryan, who is a Jamaican national, was a partner with West Bay opposition MLA Bernie Bush in Cayman Bakery and he had conned his partner, Bush’s wife, who did the accounts for the business, the firm's driver and the bakery's largest customer, Fosters Food Fair, over a period of almost 12 months, stealing more than US$300,000. Bryan had taken advantage of a weak system at Fosters and manipulated the invoices and documents relating to the bread, rolls and buns he delivered to the supermarket. It wasn’t until one of the Fosters managers became suspicious about an invoice, which indicated such a large quantity of rolls and baked goods that the supermarket shelves couldnot even have held them all, that an internal investigation began and the crime came to light. Bryan denied the crime in the first instance and had pointed the finger of blame at both the bakery’s own driver and the Fosters employee who received the deliveries. They were later found to be innocent but both lost their jobs anyway as a result of Bryan’s allegations. Bryan was convicted after a trial but the Court of Appeal overturned the conviction and ordered a retrial as they found that the crown had failed to tell the court that it had entered into a deal with the Fosters employee that ensured he was not prosecuted in connection with what were later revealed to be the false allegations. The appeal court then ordered a retrial. Despite the technical point that caused the acquittal, the crown's evidence against Bryan was said to be overwhelming and after various discussion with the crown directions regarding the possible sentence, Bryan eventually owned up and pleaded guilty to certain related offences and made admissions about the con. Then in what turned out to be a complex arrangement of sentences relating to a number of offences, the judge, following Bryan’s pleas, bundled the crimes together and imposed a sentence of three years and seven months after he gave Bryan a 25% discount for the late guilty plea ahead of the retrial. This sentence replaced all previous orders and the end result was that he would not go back to jail. “Special circumstances apply in this case and the result is that the sentence is specific to this case and should not be used as a precedent in other cases, none of which are ever likely to replicate these facts,” the judge said, as he indicated the new term would replace the original seven year term. (CNS): The country's politicians want to see convicted criminals serve more time behind bars. Government has accepted a private member’s motion brought by the two George Town Coalition for Cayman backbench members, which passed unanimously in the parliament before it was adjourned last week until the New Year. Winston Connolly’s motion asked government to consider doubling the prison terms for people convicted of offences which relate to the residential, tourism and financial services sectors to reflect what he said were the wishes of the community in the face of rising crime and adopt a zero tolerance position. 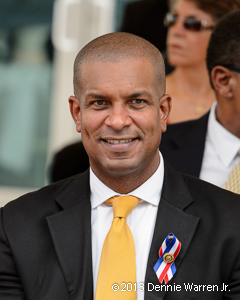 Connolly said Cayman was experiencing the full array of serious crimes, which was impacting the main pillars of the economy. The motion came following a debate on another private member's motion recently brought by the independent members for a 'three strikes and you are out' policy when dealing with convicted offenders, which won broad support in the Legislative Assembly. With crime high on the political agenda at present, Connolly pointed to concerns that thefull gambit of crimes taking place in Cayman, from car-jackings and murders to financial crime and street robberies, is taking its toll on the community and the economy. As a result, he said, stiffer jail terms are required. The George Town backbencher said government should give particular consideration to upping the ante with the sentencing of crimes committed against the financial services sector, in tourism related circumstances as well as crimes in residential areas. Connolly told his MLA colleges, as he presented the motion, supported by Roy McTaggart, that calm and reasonable people were now cursing at the politicians to do something about the perceived rising crime. He also warned that if people in high places were committing crime and not following the rule,s things would get worst. “Crime is impacting the investment climate and growth and it is increasing costs of doing business and causing reputational loss,” he said, noting that tourists can do much damage on interactive sites such as TripAdvisor when they are the victims of crime. “News of crime here can get round the world really quickly,” he warned. He said that despite the statistics reflecting a fall in the number of serious crimes, he believed that when people are afraid to go out, when they are locking themselves in and not enjoying life because of their perception of crime, the numbers don’t matter and something had to be done. The George Town member pointed out that the proposed revitalization of the capital would fail if government couldn’t assure investor and business owners that there was a zero tolerance approach to crime. He urged government to put the necessary resources into crime prevention and call for greater deterrence regarding punishment, as he said criminals should be afraid of law enforcement and the subsequent punishment. He called for more crimes to be solved and cleared up as well as tougher sentencing, alongside incentives such as creating an environment to generate jobs. He also spoke of the need to prevent too much money and profit leaving the country at the expense of the people. He said with locals not feeling the benefit from the wealth in the economy, this fuelled frustrations. Connolly called for an “effective crime strategy” as well as the reform of the police and the judiciary to make them more efficient. But he also acknowledged the need to address social deprivation and education standards. Pointing to past mistakes of leaders in the community who ignored the growing crime problems because it didn’t affect them and allowed people in the community to fall through the cracks, he said now it was time for the politicians to demonstrate moral leadership and the need to get tough on crime. Roy McTaggart, who seconded the motion, said the goal was not “to fetter the discretion of the courts but to send a message that our citizens feel unsafe and want stronger action from the police and courts”. He added that what was happening now is not working as criminals don’t fear sentences or respect the rule of law. Although the motion was supported on both sides of the House, the opposition leader pointed out that tougher penalties were not necessarily the answer, as he pointed to the United States where officials are reconsidering lengthy jail terms. McKeeva Bush also said it was costly to keep people in prison. Bush said the breakdown in casual labour market was part of the problem. He asked if society would benefit from a mother who was caught shoplifting to feed her child was given a longer jail term. He pointed out that if she goes to jail government has to take care of the child, making things worse for that family and the public purse. He said it was a more stable workforce that was needed, not more jail. Heasked if there was going to be more police to protect the areas where Connolly was concerned about as he said it was foot patrols and community policing which would have a real impact on crime. Arden McLean, from East End, while offering his support to Connolly’s motion pointed out that before criminals could be locked up for longer, the police had to catch them. He then said the evidence had to be there and the crown prosecutors had to secure a conviction in the court. He said that in the absence of a well-managed police force and prosecution system, longer jail terms would be pointless. McLean said policing had “gone from bad to worse” as he lamented the failure of officers to turn up when crime was reported until sometimes days after the event. The independent member also pointed out that regardless of where the powers lay, elected members are still blamed for crime. He said because of that the politicians on all sides needed to get together, behind closed doors if necessary, to address what is happening with the police and to discuss putting provisions in place to improve the criminal justice system. It is not clear if the group has resumed the treacherous journey. According to local lawyer Peter Polack, who spoke to them, the migrants said they were from Camaguey and were four days into their journey when they took shelter in East End. It is understood the group made camp and slept in the cabanas. The last group of migrants to pass through Cayman waters arrived last month, when 18 men and women stopped in the Sister Islands. 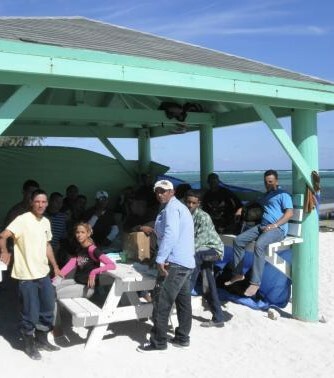 Three Cubans had ended their journey in Little Cayman. They were travelling in an 18-ft, wood and metal vessel with a small engine. Prior to their arrival at the beginning of the month, theimmigration department repatriated 24 refugees from the detention centre in George Town.